Fly Like An Eagle. – Life Is Such A Sweet Insanity. 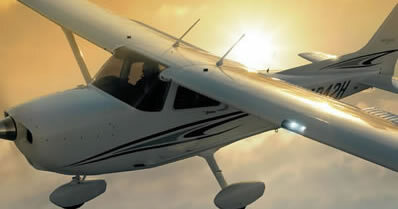 The past couple of days I’ve found myself daydreaming about becoming a private pilot. I think it’s the spring in the air or something, but I’ve really had the urge to get myself into a flying school and get that pilot’s license I’ve dreamed of. Flying is in my blood, I suppose. My grandfather is a pilot (or at least he was, now he’s content on his motorcycle at nearly 90 years old). My dad is a private pilot and is in the process of building his second airplane. When I was a teenager he restored a 1940 Piper J5-A (nothing bonds a family better than getting high on airplane glue together when we’re all reassembling dad’s airplane!). He later built an Acrosport, which he flies during the nice weather. I just have these wonderful dreams of Earl and I jumping into our brand new Cessna Skyhawk and flying off to his dad’s house in half the time. Or for a fun-filled weekend getaway. Or heck, to a pancake breakfast at a little airport in the middle of nowhere. We used to do that when I was a kid. Dad and I would jump into the J-5A and head off to a little airport in Weedsport on a summer Sunday morning for breakfast. Grandpa would go ahead of us in his faster, home-built Jungster. Some of my fondest memories of growing up took place at the local airport, a less than a mile strip of mowed grass in the middle of nowhere, with a gravel pit at one end and a string of utility wires at the other. There’s several hangers at one end to make it all look official. That and the “16” and “34” on their respective ends of the runway. Whenever we heard a plane fly over the house, we’d always look up to see who was flying. We’d have picnics at the airport with the rest of the pilots association. Dad would give rides. Heck, I’ve even flown a couple of times. Earl has never flown in a private plane before. I’d love to have the honor of giving him his virgin voyage. I see a goal forming… to become a pilot before I’m 40.